Exactal are the makers of CostX estimating software. CostX is used in over 80 countries around the world by estimators, builders, subcontractors and quantity surveyors, from companies both large and small. CostX contains our world-leading on-screen 2D and 3D/BIM takeoff, integrated workbook with subcontractor comparison, and customised report writer. If you are looking for a faster, smarter and more accurate estimating program, be sure to review CostX. One of the key reasons for the increasing interest in CostX is its ability to work with BIM. As BIM becomes of more importance to the construction industry, people need to know that their estimating solution will be able to support them on the BIM projects they receive. CostX has a range of BIM compatible features, including support for Revit BIM files and IFCs, ability to automatically extract quantities or manually measure from the model, ability to add information to the model, ability to link 2D drawings to the BIM, and more. In addition, a variety of 2D drawings (scanned, PDF, CAD and more) are still supported. Exactal now has nine offices worldwide, including Brisbane and Melbourne, covering 24 hours. For more information on CostX please contact us here. The GFG Alliance’s Liberty is Australia’s largest manufacturer of steel long products, a leading distributor of steel and reinforcing products, and operates one of the country’s largest metals recycling businesses. 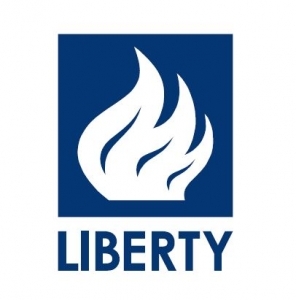 Liberty’s businesses include Liberty Steel, Liberty Reinforcing, Liberty Metalcentre, Liberty Primary Steel, Liberty Recycling. Liberty services customers throughout Australia’s infrastructure, commercial and residential construction, manufacturing, mining rail and agriculture sectors. We believe it’s not the scale of the project but the passion to bring the vision to life. We believe it’s the strength of our people and what we do, how we do it, and why we do it, from recycling to design and manufacture, fabrication, service delivery and distribution. We believe in building a future full of possibilities. Liberty Reinforcing is Australia’s premier supplier of reinforcing products and prefabricated reinforcing solutions supported by a national network of 35 branches. Liberty Reinforcing is a full-service reinforcing supplier to tier 1 builders and mega infrastructure projects across Australia and is one of Australia’s premier suppliers of steel reinforcing solutions for commercial, residential and civil construction, as well as the mining and agriculture industries and the manufacturing sector. Liberty Reinforcing has ACRS certified world-class manufacturing facilities and innovative engineered reinforcing solutions to reduce labour needs and streamline construction. Lahey Constructions (Lahey) is an established commercial construction company with a history of providing quality public and private infrastructure for over 60 years. We have offices in Sydney (Pyrmont), Brisbane, NSW North Coast (Kempsey), Darwin, Perth and Canberra. Their permanently based, local construction teams offer multi-disciplined construction services including construction management, construction and design & construction. Lahey has worked on an extensive array of projects including Health, Education, Justice and multi-Level Residential individually valued between $5 million and $50 million. Lahey provide services to major private organisations and Government entities across parts of Australia including remote regional areas. CSR is the name behind some of the market’s most trusted and recognised brand names in providing building products for residential and commercial construction. And because these products come from CSR, our customers can be sure that they are manufactured to meet all relevant building codes and standards to do the job. We’re continually re-investing in our business to meet new challenges in construction. We’re also continuing to invest in research and development to develop new products to help our customers meet these challenges. Products like energy efficient Viridian™ glass, Bradford™ insulation and lightweight Hebel® concrete to make Australian homes more energy efficient. 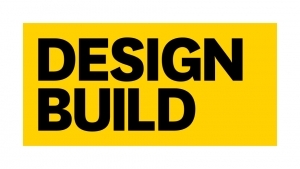 We endeavour to develop more innovative products right across our portfolio targeting the buildings of the future. Our customers benefit from our knowledge and our expertise. It means we have the resources to provide our customers with the service they need to get their job done. CSR is also a joint venture participant in the globally cost competitive Tomago aluminium smelter, located near Newcastle, NSW. CSR generates additional earnings from its Property division which focuses on maximising financial returns by developing surplus former manufacturing sites and industrial land for sale.